That's it. I'm calling Amber out on the world wide web. She is my Miss Piggy. I don't know how this happened. I like to consider myself a pretty clean person. Her father is borderline "Monk". Her extended family on both sides keep neat, clean homes. How did we get here? How do we get to a better place? This is only 2 shots of many that I could have taken. Never mind the bottom of her closet, or her drawers. Woah. 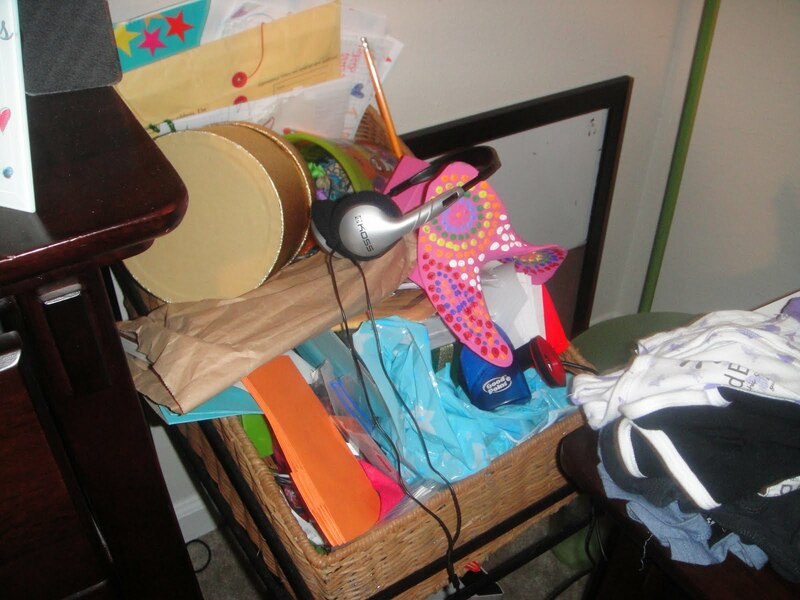 This is a basket-type thing next to her dresser. It's packed with crap. I went to grab the mouse for her laptop out of here, and I think something bit me. I am giving her a deadline to clean it out, or it's all going in the trash. 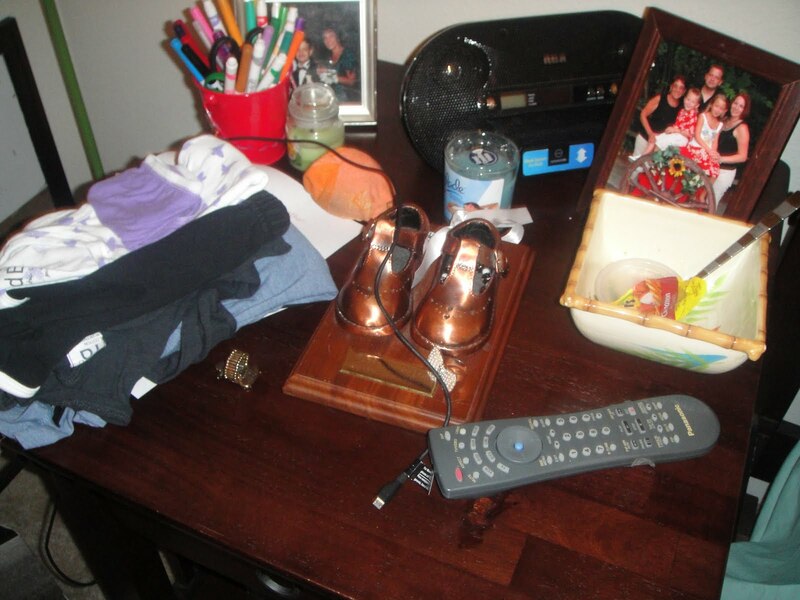 This is her night stand. The orange ball is what I believe to be dirty socks. A pile of laundry that I had asked her to put away, a bowl with...ranch residue, and an apple sauce container and those are her shoes that she took her first steps in that I had bronzed sitting in between her mess. I am sorry I gave her that wicker magazine holder!!! Who knew it would be a junk collector??? The funny thing is I am always, always bragging on her and how when she is somewhere (a sleep over, the dance studio, a dance competition) she ALWAYS keeps up with her stuff, doesn't leave things behind, is so organized and even helps Danielle keep track of her stuff. Who could imagine that her room looks like this!! !